Peet's Coffee at 1131 State St. has served its last latte. The San Francisco Bay Area-based coffee chain is the latest State Street shop to say goodbye to the American Riviera. Thursday was Peet's final day of serving $3 maple scones and $5.30 white chocolate mocha lattes at that location. The State Street spot was one of two in Santa Barbara (the other is at Five Points Shopping Center), and offered locals an alternative to the eight Starbucks offerings in Santa Barbara. The store itself suffered from a bit of schizophrenia. It was a popular hangout for homeless people to congregate and hangout, inside and on the front patio. But the back of the building opened up to spectacular sunlight during the morning and early afternoon, where small groups convened on the patio underneath the Italian architecture building, which faced out to a steady stream of clients from the hot yoga studio. 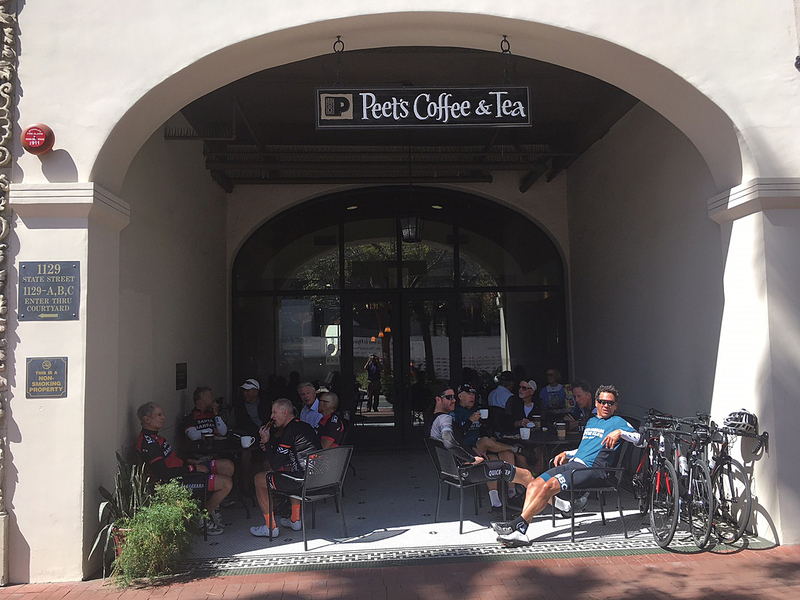 Adam Geeb, a representative from Sima property management, said it's possible that Peet's wasn't getting as many tourists as the downtown shops because it is so high on State Street. The Santa Barbara Museum of Art has also been undergoing a long and loud renovation, and the sound of jackhammers and construction crews could be heard from inside the shop. Representatives from Peet's did not comment on the closure. Geeb said Sima and Peet's had positive conversations, but ultimately it was a Peet's business decision to leave.